What is the Orkney Cloud? Organisations that curate and analyze data sets are becoming cloud service providers, as data management and access becomes their business. For many companies, becoming a cloud service provider is a straightforward choice between leveraging the public cloud or investing in warehouse-scale computation. But this is not the case for organisations located at the edge of the internet, where the hardware and network infrastructure is limited. At the network edge, it makes more sense to host cloud services locally, that are distributed over multiple island organizations, rather than use a distant, centralized public cloud. Orkney Cloud will reconfigure standard approaches to data infrastructure, and develop an alternative cloud service provision, suitable for locations where the internet is thin, but the social networks are thick. Local organisations collect, analyze and curate local data (from sea sensors to bathymetry to wildlife movement to wind turbine generation). Many of their data users are other organizations in the islands, who they collaborate with. How to develop cloud services based on the existing social relations and data sharing practices? Organisations who cooperate at the edge have an opportunity for reconfiguring standard approaches to data infrastructure, and develop an alternative, community-led cloud service provision, suitable for locations where the internet is thin, but the social networks are thick. 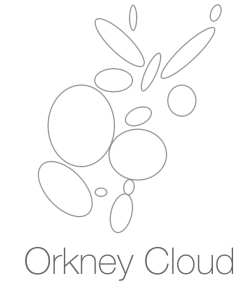 Orkney Cloud project will establish options for reconfiguring the digital infrastructure – from network services, to analytics, maintenance and data curation – to support local, edge-based managed services. The Orkney Cloud project will transform a digitally disadvantaged region from ‘data poor’ to a ‘data prototype rich’ platform for cloud services: a living laboratory for cloud services at the network edge.